You may not be as concerned with a clogged bathroom sink as you would be with a clogged toilet, but it can still make a mess and be a huge inconvenience! As always, an incident like this never seems to occur at a convenient time, but when you have guests in town or a party about to happen! 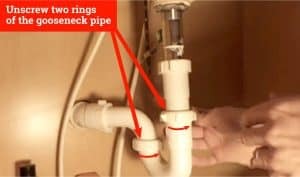 This is How To Unclog A Bathroom Sink: The easiest way to unclog a bathroom sink is to use a wire coat hanger or Zip It. 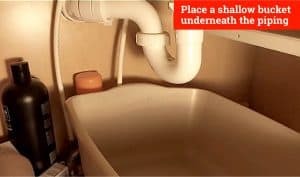 Remove the drain cover by unscrewing, thread the tool down the drain and swirl it around. Another method is to roll some newspaper and thread it down through the drain. Other methods involve a drain clearing gun, liquid cleaner, or a drain auger. 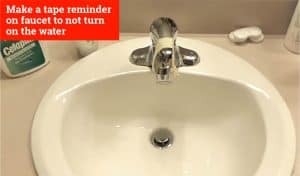 Follow along and we can quickly teach you how to unclog a bathroom sink. 1 Method #1, No Need To Go Under The Sink! 2 Method #2, No Tools Necessary! Method #1, No Need To Go Under The Sink! 1. Since you will be dealing with the drain, you may want to remind yourself to not turn on the water faucet until the job is complete. 3. In order to begin working, it is highly recommended that you need to remove all the water from the sink. 4. You may have to wait until it all slowly goes down the drain or do it manually by using a cup and towel to remove all the water. 1. 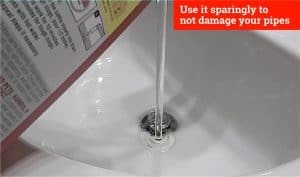 You should not need to remove the drain cover, but if you would like to do so simply unscrew the cover lid. 2. 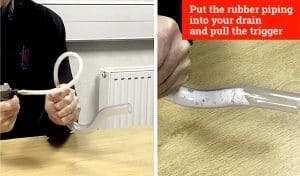 If using a wire hanger, straighten the wire out and slightly bend the end so it will grab more. 4. 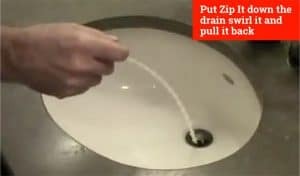 Simply thread the coat hanger or Zip It down the drain, swirl it around, the pull it back up. 1. 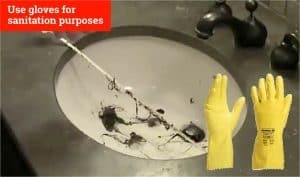 For sanitation purposes, you may want to wear gloves as this will pull up anything and everything caught in the drain! 2. 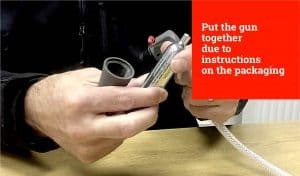 As you pull your tool back up, clean it and then reinsert it as many times as you feel necessary to make sure your drain is clean and ready to go! Method #2, No Tools Necessary! 2. Clear out a space under the sink so you will have room to work. We will be removing the piping (gooseneck), so prepare for some water to come out. 1. You can do this by simply placing a shallow bucket underneath the piping. 2. Note that this piece of plumbing is there to prevent any sewage gases from getting into your sink and therefore your bathroom. Beware, this may get a little smelly! 3. Using your hand, loosen (by unscrewing) the two rings that are on the top and side of the gooseneck pipe. Water will begin to trickle from the piping, but don’t worry as that’s why we have the bowl! 4. Next, we are going to focus on unplugging the drain cover that’s in the sink. 1. 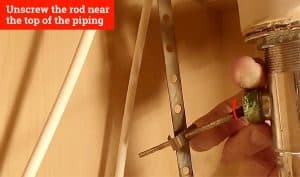 Do this by finding the rod sticking out of the back of the cabinet located near the top of the piping. This piece attaches to the sink drain and the back part of the metal pipe you are working with. 2. Unscrew it using your hand and pull the base out from the metal pipe. 5. Now that the drain is unattached, you can look in the basin of the sink and pull it out. 6. It’s time to clean! You will need a piece of newspaper for this part! 1. 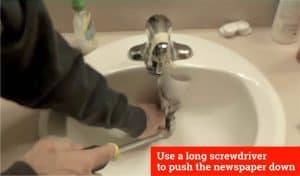 Roll the newspaper into a long rope-like shape and feed it down through the drain in the bottom of the sink basin and into the bucket you have underneath the sink. 2. 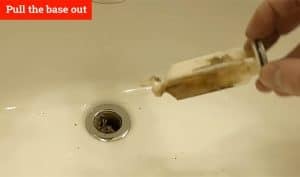 This will clean and push/pull out all the gunk in your drain! 3. You may need to use a long screwdriver or some other long tool to help push the newspaper down. 4. Repeat this step 2 to 3 times until you are confident it’s cleaned! 7. 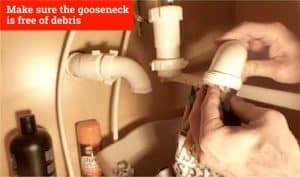 Before reassembling the pipes, check the gooseneck bend piping to make sure it is free of debris. If you want to skip the above methods and simply use a serious tool, these are your best options. Note that with each tool you should always unscrew the drain cover to make it easier for the tool to do its job. 1. This type of tool is quick and powerful. 2. Put the gun together as per the instructions on the packaging. 3. Place the rubber piping (or suction cup depending on model) into your drain and pull the trigger on the gun, as easy as that! 1. 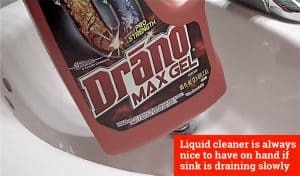 A popular brand is Drano and this type of unclogger is always nice to have on hand for those occasions when the sink is simply draining slowly. 2. A warning about using this type of cleaner regularly is that it is so powerful it can cause damage to your pipes overtime, so it is recommended to use it sparingly. 1. 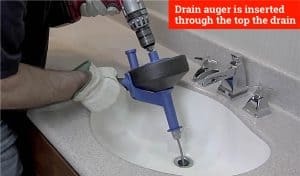 Much like a toilet auger, a drain auger is loosely threaded and is inserted through the top the drain, spun, and then pulls out anything clogging your drain. 1. Try to not rinse anything down it but soap and water. 1. Hair is a huge cause of a clog in a bathroom sink, so try to put hair in the trash can. 2. You can use a liquid cleaner as mentioned above, but perhaps try a more natural solution if doing it regularly. 1. 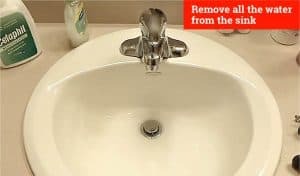 One solution is: tablespoon baking soda in drain, then pour 1 cup of white vinegar and 1 cup of hot water and cover with the drain cap to allow the chemical reaction to occur and clean out the piping. Focus on these 2 recommendations and you should prevent at least the small clogs!